Access to online support and materials. Course materials and manuals supplied. Continue your day job whilst you gain your qualifications. Courses give you time to learn and absorb the learned information. All our tutors have a wide range of experience within the fitness and leisure industry. 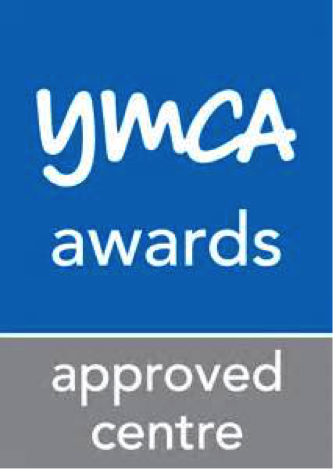 YMCA Awards are nationally and internationally recognised. After your course you will be ready and qualified to work in the fitness industry. We have links with many local gyms and sports centres to help you find work after the course. Relaxed and fun learning environment. Our courses are Externally Quality Assured by YMCA Awards. Next L3 PT course starts 18th March 2019 - view schedule here. Bookings are now open for this course. Next L2 Instructing Fitness for Gym Sessions course will start in June 2019. Next Circuit Training course: 7th and 9th March 2019. Bookings are open for this course now. Next Instructing Kettlebells course: Saturday 16th March 2019. Bookings are open for this course now. Courses run on Monday and Thursday evenings, supplemented by some Saturday sessions. For more information or to book onto a course email les@la-revolution.co.uk. For an informal chat about courses call Les Antoine on 07804 795655. Bespoke courses at different times are available for individuals and small groups. There will be an extra cost for bespoke courses. Please call to discuss your requirements.